I know. That was the point. The point was with a bad OL last season we had several deep plays by Fuller. This season we havent. i really want to think we're going to do well this game but i wont fall for it!!! In the last 3 games, we have only completed one pass that went over 20 yards in the air. While there's a lot to blame on the OL and coaching, remember that Will Fuller isn't fully healthy - he's pretty much been questionable with hamstring and hip issues since the Colts game. Hard to get chunk plays when your biggest deep threat isn't at 100%. Even with that, Fuller/Watson nearly had a 40 yard TD in the Bills game, but the Bills CB basically tackled Fuller in the end zone and drew the PI (and Fuller still nearly caught it). Plus, do you want to see Watson take more than three seconds to get rid of the ball behind this OL? I know I don't. Short passing game is fine with me. 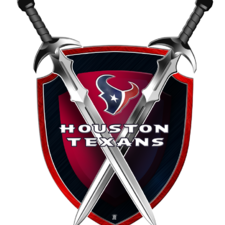 Hopefully the Texans win BIG. get your popcorn ready and i mean that in a bad way. 3. Clowney will have no impact on this game. Funny thing is I had the Texans going 4-3 through the first 7 games when I did the schedule prediction. The way they are 4-3 is different than what I predicted. Took 1 play for Idiot BOB to screw something up. He’s such an incompetent idiot. I can’t wait for the day he’s gone.